The future of the cannabis industry has already begun. As we move forward into this new era hundreds of thousands jobs will be created over the next 6 years. Will you be apart of this rapidly growing industry or will you sit back and watch others gain financial freedom? Your choice. Not that long ago, the idea of a cannabis business involved shady deals in dimly-lit back alleys in a bid to avoid the long arm of the law. Things have changed immensely in the country since those days, and while it is still illegal under federal law to grow, sell, distribute, use, or even possess marijuana, state laws have now made it possible to do all of that in 33 states (including the District of Columbia). Every jurisdiction that has legalized some form of marijuana use has its own unique set of regulations, and the federal government has taken what can only be described as a “hands-off” approach towards state marijuana laws. Since it was first legalized for use back in the 1990s, the cannabis industry has grown exponentially, and in 2014, the legal sale of cannabis (for the combined sales from retail and wholesale) reached 2.7 billion dollars. This fast-growing industry can offer numerous opportunities for new entrepreneurs, as long as they are willing to wade through the reams of complex and constantly-changing laws and regulations. For anyone looking to break out in the industry, there are things that need to be looked at before making any big decisions, such as where to start, what area of the industry to open up in, and what laws are required to be followed prior to any investment in business. Marijuana businesses can be broken down into three basic categories: cultivation, marijuana-infused product manufacturing, and retail sales. Other business opportunities in the marijuana industry include: testing facilities, delivery services, consumption devices, and software. The part of the industry that handles the growing of cannabis is usually heavily regulated, and such operations require massive initial investment and practical, horticultural knowledge. While the traditional method of use is smoking, many cannabis users, especially medical patients, prefer to use other means, such as edible products, tinctures, salves, tea, and other infused products. These are normally known as dispensaries or collectives, and are generally stores that sell marijuana-based products to eligible, authorized customers for medical marijuana use. While they can be extremely lucrative as a business, they are the most difficult and expensive areas of the industry to start-up. With its complex regulatory environment and many uncertainties, starting a legal marijuana business is a lot more complicated than most other business types. Laws vary from state to state, and are complex and demanding. Before going into business in the cannabis industry, here are a few things to consider in order to make an informed decision on whether it is the right industry for you. This can vary depending on the location, the state regulations, and the type of business. Rent, utilities, licensing, equipment, supplies, security, marketing, and employees are all costs that need to be included in your initial calculations. In almost all states, you are required to be a state resident before opening a marijuana business. And some, like Colorado, require a minimum residency period of at least two years. Felons with drug-related or violent convictions are prohibited from obtaining licenses for marijuana-based businesses. This is mainly due to its fledgling status as an industry. And while the legislation and regulatory environment is always changing, the rewards are very good. While there is always an element of time involved in setting up a new business, in this industry you need to be prepared to wait for up to ten months for the processing of your license. And in some states, that time can be as long as 18 months. With any startup, you need investment capital, and some investors are still wary of investing in the marijuana business, since it is still illegal under federal law. Most funding in the marijuana industry comes from private investors, as banks are not prepared to finance marijuana-based businesses. No matter what the industry, you will need the right combination of market differentiation, investment, and good management. In the cannabis industry it is no different, except for the constantly changing regulations and the federal prohibition. These can complicate matters immensely, so there are certain steps to ensure you take when setting up. Your business plan is your outline for your new company’s goals, including startup costs, timelines, milestones, financial details, and relevant key information. This will enable you to remain organized and focused on the task, and your business plan can be used as a form of “resume” when seeking out financial investment. State licensing requirements are not the only thing that will affect where you set up your business. Local and county zoning laws and other regulations will also have a drastic effect on where you can cite your business premises. Besides, there are some restrictions now in place at county and city level for the prohibition of cannabis-based businesses in certain locations. Your business’ whole organization chart needs to be in line with state regulations, as well as local and county regulations. The business needs to conform to the applicable regulatory and legal constraints that are in place in the state, and all company partners and investors need to be fully identified in the business plan and license requests prior to applying for any license. Additional investors added after the license was requested will require a new request to be applied. Once you have finally got all the necessary licenses, you will need to define and implement the regulatory requirements into the business, ensuring staff compliance in accordance with the terms on the license type for your business. Failing to educate the staff on the compliance requirements can harm the business, even to the point of closure. 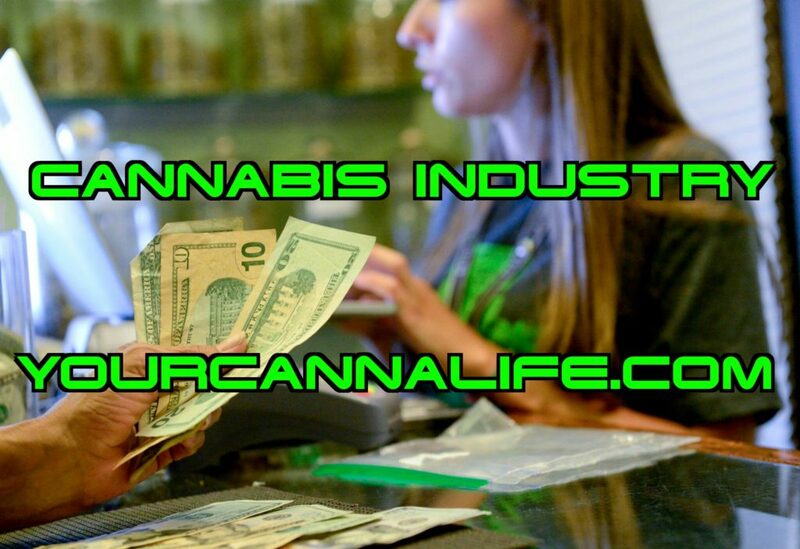 For those looking for information on working for cannabis businesses, get more information here. The type of business you run within the cannabis industry will determine the contractual relationships between your business and other, relevant businesses. Dispensary owners will need contractual partnerships with both cultivators and product wholesalers, and may even have a need for a relationship with delivery services and consumption device suppliers and retailers. There are a limited number of advertising opportunities for retailers in the marijuana industry, which include newspapers, online forums and websites, online directories, and banner ads or affiliate linking. For wholesalers and cultivators, trade magazines, online trade sites, and even local marijuana trade shows are the best options for advertising. Whichever type of business you choose, it will require the same basic steps as listed above. However, each business type also has its own set of contractual requirements that will need to be met. Ensuring they are done correctly will help to ensure the success of your new business. For a retail store in any state that allows the retail sale of cannabis, whether for medical or recreational use, you will need a variety of contracts with a large number of other types of cannabis businesses. 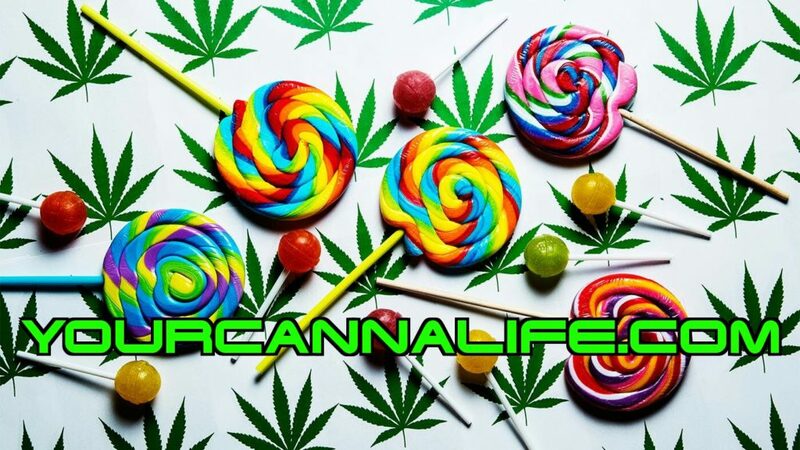 Contracts will be required with in-state cultivators, infused products manufacturers, edible products manufacturers, delivery services, consumption device manufacturers and/or wholesalers, and software and internet development businesses. The main difference here is that you will need expert assistance in the growth and cultivation of the plant, as there are certain environments that are required in order to maximize its growth potential. Experts in the cultivation of marijuana are often expensive, although hiring a cultivator directly could be the best choice over hiring expert advice on cultivation. Contracts are also needed for supply to infused product manufacturers, as well as with dispensaries (for those states that allow recreational use) and delivery services for the transit of the product to the contracted partnerships. As with cultivation businesses, infused products businesses require some amount of expertise in the field of infused marijuana products, including processing, refining, and extraction. The same goes for edibles businesses, as the production of edible cannabis is another refining process that requires expert procedures. This can be an added cost in the business plan and investment potential of the business, as the setup or the equipment required to process and refine cannabis plants for infusion products or edibles is expensive and requires expert setup. Contract relationships also need to be formed with cultivators for the supply of the plants and also with retailers and delivery services for selling and delivering the finished products. What you can sell, and where you can sell it, is clearly defined by the laws of the state in which you reside, and intend to handle your marijuana business. States like California, Maine, and Massachusetts, which allow recreational use, have different laws to those states that only allow medical use. For entrepreneurs entering the cannabis industry, this means that they are required to be knowledgeable on the state laws for their location, as well as local county and city regulations regarding cannabis cultivation, processing, and sales. 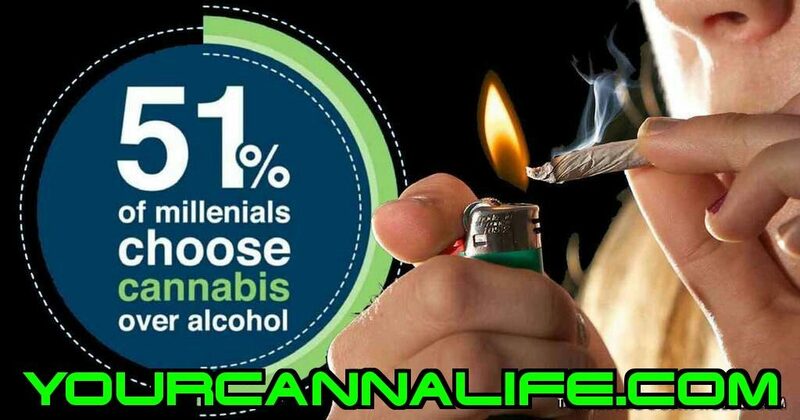 Moreover, the national prohibition of interstate cannabis commerce, as well as the federal banking laws and federal drug laws, mean large companies and corporations are staying away from the industry. This opens up the door for smaller businessmen to establish themselves as dispensaries, cultivators, retail stores, processing laboratories, etc. That occurred back in 1998. Prosecution against medical users with written documentation was removed , and the online application for a marijuana business license became available on February 24, 2016. On January 22, 2016, the State adopted final regulations, and enforcement began on February 21, 2016. Proposition 203 was passed in 2010. It allows registered patients to obtain marijuana from a registered dispensary and possess and use medical marijuana to treat certain conditions. Patients must have a written certificate to prove they have been diagnosed with a debilitating condition that would benefit from marijuana treatment. Issue 6, which was enacted on November 8, 2016, allows seriously ill patients to use medical marijuana with a doctors’ approval. The amendment will allow up to 40 dispensaries, all of which will be regulated by the Alcoholic Beverage Control Division. The state prohibits cultivation. Applications for licensing for the dispensaries began on June 1, 2017. On November 5, 1996, California became the first state to legalize medical marijuana use when it passed Proposition 215. The Medical Marijuana Regulation and Safety Act (MMRSA) was signed into law on October 9, 2015. It established a framework for medical marijuana regulations and a statewide licensing program. On November 7, 2000, Colorado approved Amendment 20, which amended the State Constitution to allow marijuana use in the state for patients with written medical approval. In June 2012, a medical marijuana program was signed into law in the Senate. Connecticut currently has nine approved marijuana dispensaries. No new applications are being accepted. In May 2011 legislation allowing patients aged 18 and older with “certain serious or debilitating conditions” to use cannabis, and possess up to six ounces was signed into law. The state has one dispensary in Wilmington, but will not accept applications for new businesses. Florida passed legislation allowing residents to apply to open Treatment Centers on November 8, 2016. 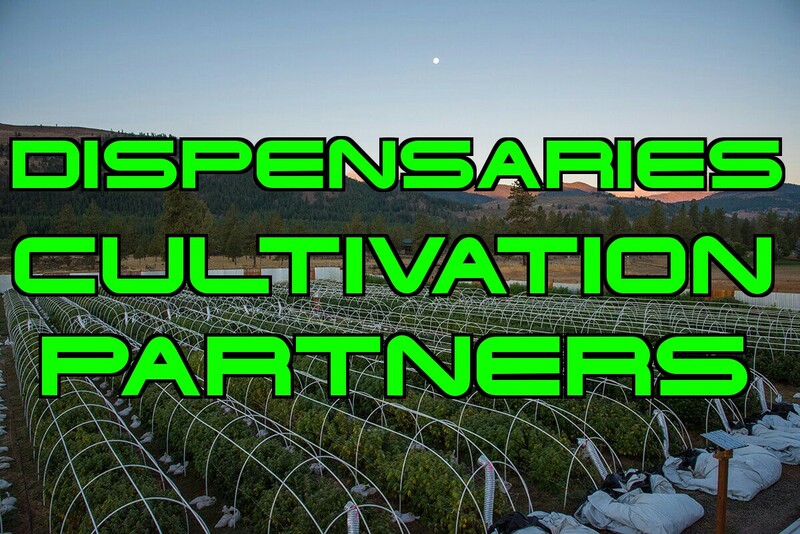 These centers can buy, cultivate, process and distribute marijuana and related products. In 2000, Hawaii passed SB 862 HD1. The legislature amended the law with two bills that took effect in January 2015. HB 668 moved the program from the Department of Public Safety to the Department of Health. Registered medical patients may possess up to 3 ounces of cannabis and grow up to seven plants. There is no provision for commercial sale. In 2013, The Compassionate Use of Medical Cannabis Pilot Program Act (HB 1) created a temporary statewide program for distributing cannabis to qualifying patients. HB 1 allows patients to buy up to 2.5 ounces of cannabis within a two-week period, from one of the 60 dispensaries, which will be supplied by 22 approved cultivation centers. Licensing for further businesses in the state is currently closed. In 2014, Iowa passed SF 2360, the “Medical Cannabidiol Act”. It allows licensed neurologists to certify patients with “intractable epilepsy” only to use cannabidiol (CBD) products with a 3 percent THC content. The law does not allow other physicians to write recommendations, nor does it allow patients with any other conditions to obtain legal protection. Marijuana businesses are not being licensed to operate, and no plans are currently in place to allow licenses for commercial dispensaries. Approved legislation (SB 271) allows 10 pharmacies to distribute medical cannabis. 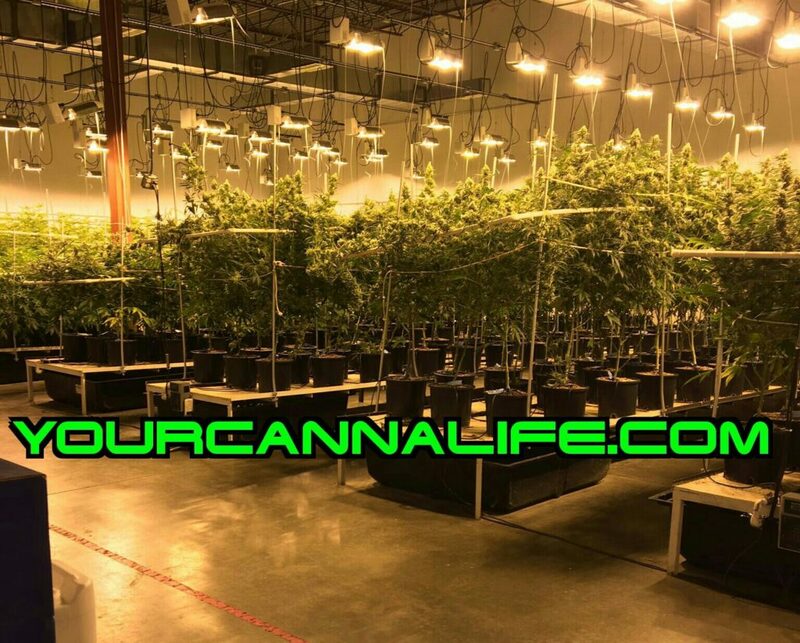 Only one cultivation center exists, and there are no viable options for potential business owners, due to the severe limitations imposed. On November 2, 1999, Maine legalized marijuana for medical use. Maryland closed business applications for medical marijuana licenses on November 6, 2015, but continues to push forward in the licensing of cultivators and dispensaries. Two bills, signed by Governor Martin O’Malley, changed the medical marijuana program being implemented by the Medical Marijuana Commission. The new regulations have provisions now for opening a medical marijuana dispensary, starting a marijuana cultivation business to grow medical marijuana legally, and starting a marijuana processing facility. In 2012, Massachusetts legalized medical marijuana. Under upcoming new regulations, Michigan will be open for medical marijuana businesses soon. These regulations will contain stipulations for dispensaries, cultivators, processors, testing facilities and transporters. Prospective businesses can begin applying now, and applications will end on September 15, 2017. On May 29, 2014, a medical marijuana proposal was crafted by a House and Senate conference committee, making Minnesota the 22nd state to exempt sick patients from penalties for using marijuana with a doctor’s certificate. No provisions have been included to license commercial dispensaries. Missouri passed a bill in 2014 that creates a legal right for certain patients to obtain, possess and use “hemp extracts” under a limited set of circumstances. Only patients with a seizure disorder, as well as a recommendation from a neurologist, are eligible to get a registration card, which entitles them to legal protection. Qualified patients can purchase extracts from only 2 state-regulated “Cannabidiol oil care centers”, and the new law also allows the Department of Agriculture to license and regulate cannabis growers to produce the oil. Under the new regulations, Montana is currently open for medical marijuana businesses. The regulations have provisions for medical marijuana dispensaries, manufacturers, cultivators and testing facilities. Nevada legalized medical marijuana on November 7, 2000. Recreational cannabis has been up and running since July 1st of 2017. Over 100 million in tax revenue may be achieved by the end of the 2017. New Jersey signed medical marijuana use into law in 2010. However, implementation has been very slow. Currently, it serves less than 5,000 patients. The state is not licensing new medical marijuana businesses. On July 5, 2014, Gov. Andrew Cuomo signed a limited medical marijuana bill into law. This bill gives the state 18 months to enact regulations to allow the cultivation and sale of medical marijuana. Registered organizations are companies that the state will license to produce and dispense medical marijuana. On November 8, 2016, the state legalized medical marijuana. The regulations have provisions for nonprofit dispensaries, which will cultivate a limited amount of medical cannabis for dispensing to enrolled patients. New applicants will pay a $5,000 non-refundable application deposit and if approved, a $25,000 licensing fee. Under new regulations, Ohio is ready to open applications for medical marijuana businesses. The regulations have provisions for dispensaries, cultivation facilities, processors and testing facilities. At present, the state has not indicated when it will open the application period. Oregon established the Medical Marijuana Act in November 1998. It modified state law to allow the cultivation, possession and use of marijuana for patients with certain medical conditions. In 2013, a law was passed allowing registered medical marijuana dispensaries. Pennsylvania enacted regulations that include provisions for dispensaries, cultivators and product manufacturers. The state opened applications on January 17, 2017. All permit applications were accepted until March 20, 2017. There will be a capital requirement for each type of business. An application for a grower/processor permit must include an affidavit that the applicant has at least $2 million in capital, one quarter of which must be deposited with certain approved financial institutions. An applicant for a dispensary permit must provide an affidavit that the applicant has at least $150,000 on deposit with certain approved financial institutions. Under emergency regulations, Rhode Island accepted applications for medical marijuana cultivation businesses until April 30, 2017. Under the Act, the Department of Business Regulations will be responsible for licensing new entrepreneurs. There is a $5,000 non-refundable fee during application. License fees normally range from $20,000 to $80,000 depending on the license class issued. When the state reopens it’s program, it will have provisions dispensaries, which may acquire, possess, cultivate, transport, sell and dispense marijuana to enrolled patients. Currently, the state is not issuing marijuana business licenses. On February 26, 2015, marijuana legislation was signed into law. This measure provides an affirmative defense to patients who have intractable epilepsy for the possession of marijuana extracts that contain at least 15 percent of either cannabidiol (CBD) or THC-A and no more than 5 percent THC. The law includes no provision for a marijuana business. The Cannabis Patient Protection Act integrated the medical cannabis market with the recreational cannabis’ one. The Department of Health adopted rules for the medical marijuana authorization database, including training and certification of medical marijuana stores, consultants and product compliance. Washington D.C. licensed a limited number of retail stores and cultivation companies in 2013 and 2014. There is no system in place to permit the issuance of any new licenses. Wisconsin has a very limited medical cannabis bill. It exempts a certain class of individuals from criminal penalties for the use and possession of a cannabidiol “in a form without a psychoactive effect”. There is no allowance for businesses in the cannabis industry. In 2014, Alaska passed a law that institutes a system to tax and regulate marijuana through the Alcoholic Beverage Control Board. Adults aged 21 and older may possess up to 1 ounce of marijuana and grow up to six plants for personal use. The measure includes provisions for business licenses. The Adult Use of Marijuana Act was passed on November 8, 2016. This legalized the sale and distribution of cannabis for recreational use. Licenses will be issued for cultivation and business establishments sometime in the early part of 2018. The regulations have provisions for retail marijuana stores, product manufacturers, cultivators, testing facilities and distributors. Colorado legalized the sale and possession of marijuana for recreational use on November 6, 2012. It included private cultivation of up to six marijuana plants. The state also allows medical or retail marijuana dispensaries. Business owners must be residents for at least two years prior to applying for a license. Under the new regulations, Maine will soon be opening its doors to recreational marijuana businesses. The regulations have provisions for marijuana stores, social clubs and cultivation, product manufacturing and testing facilities. No application process has yet been established. Under the new regulations, Massachusetts became the first state on the east coast to open recreational marijuana businesses. The rules have provisions for marijuana stores, product manufacturers, cultivators and testing facilities. There is no application process as yet, but applications can begin on October 1, 2017. That’s almost double what both Colorado and Oregon sold in their first months. It’s almost seven times what Washington sold. On July 1, 2015, Oregon legalized the possession and cultivation of marijuana by adults 21 and older for recreational use. The Oregon Liquor Control Commission regulates dispensaries, retail stores, cultivators and manufacturing businesses for legal operation within the state. There is a $250 non-refundable fee at the time of application. The license fee is $4,750. Recreational marijuana use was legalized by the Washington Initiative in 2012. The law requires state licenses from all sellers, distributors, cultivators and producers of marijuana.